The Israel Diamond Exchange (IDE) will hold a first-of-a-kind auction of polished diamonds during the International Diamond Week in Israel (IDWI) to be held January 28 – 30. 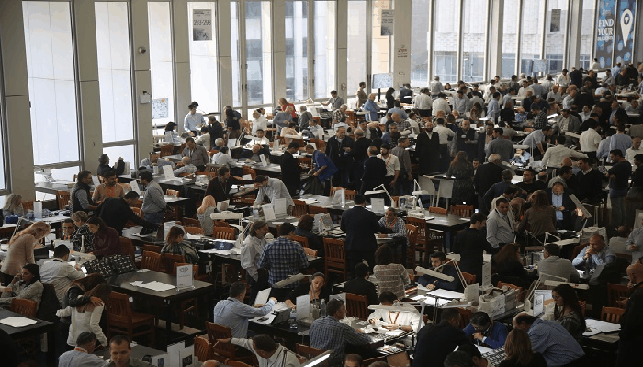 The Israeli bourse if the first in the world to have an organized, secured open auction of diamonds. Until now, the IDE has held only diamond tenders. The IDWI will take place on the trading floor of IDE and will feature a record number of 400 international buyers. IDE President, Yoram Dvash, commented that “the Israeli diamond industry is on a path of improvement” and added that “during 2018 the downward export trend was stopped, and now we are hoping that in 2019, we’ll see exports rising again. The recuperation in the market is manifested in the great number of companies and diamantaires that will arrive from all over the world to attend IDWI. The improvement stems, among other reasons, from reforms we have led in the last few years, including a technological, regulatory and marketing revolution in the bourse following the support the industry has lately been receiving from the government”.